Who first coined it, and how this nickname came about is unknown. As units shutdown a number of problems can occur. The crew can experience breathing difficulties, due to build up of exhaust fumes. 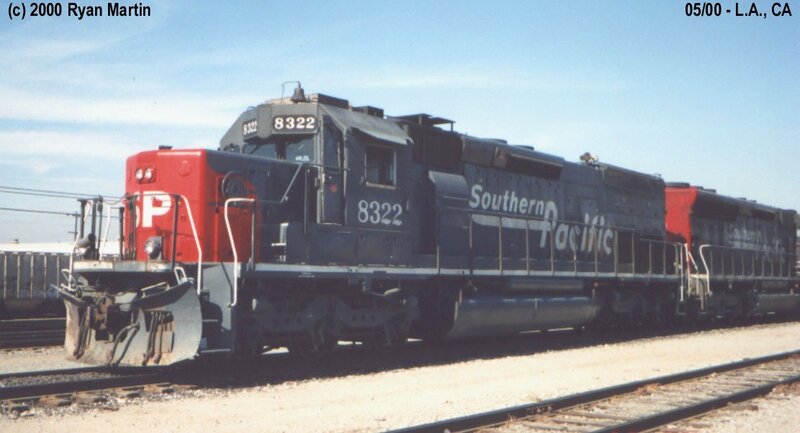 In the days of steam locomotives, SP had similar problems, this lead to the development of the Cab-Forward or Cab-Ahead locomotives. 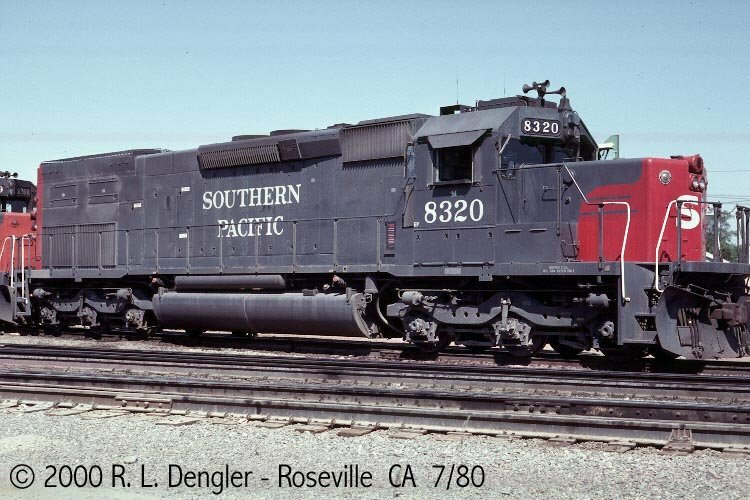 Remembering that EMD means "Every Model Different", my question was if the T-2 designation was from EMD, or was it from the railfans. I have my answer - it was from EMD. -28 / 5365 -29 / 5369 -30 / 5373. -28(D) / 5365 -29(D) / 5369 -30(D) / 5373. -28(S) / 5365 -29(S) / 5369 -30(S) / 5373. 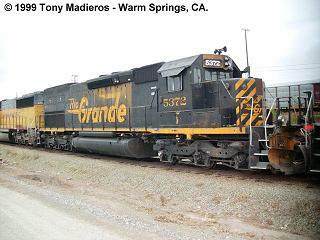 These D&RGW locomotives are decorated in the sharp black and Aspen gold scheme with the billboard flying "Rio Grande" on the sides. These models feature a three chime air horn and Sinclair antenna on the cab roof. 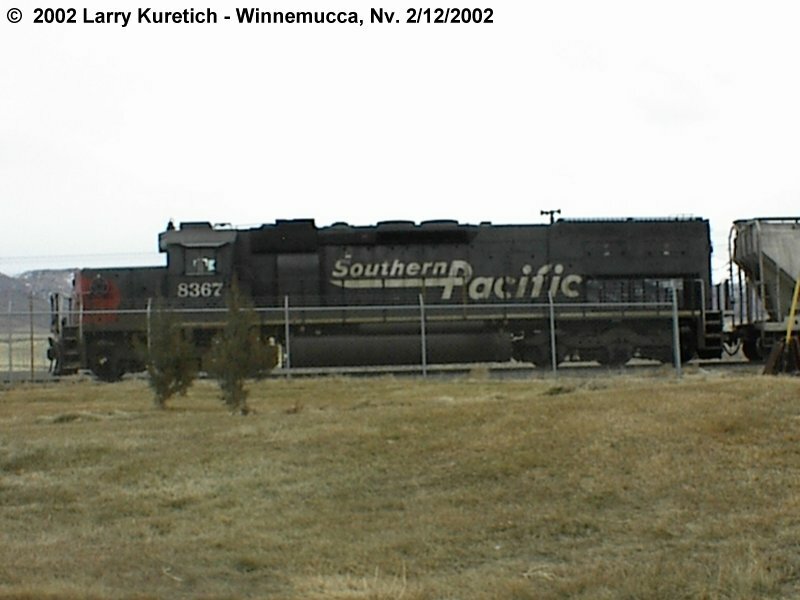 They also come with a smaller fuel tank than those found on Southern Pacific units. They are fully assembled with numerous etched metal details such as sunshades, windshield wipers, fan and intake grilles and come with operating knuckle couplers. 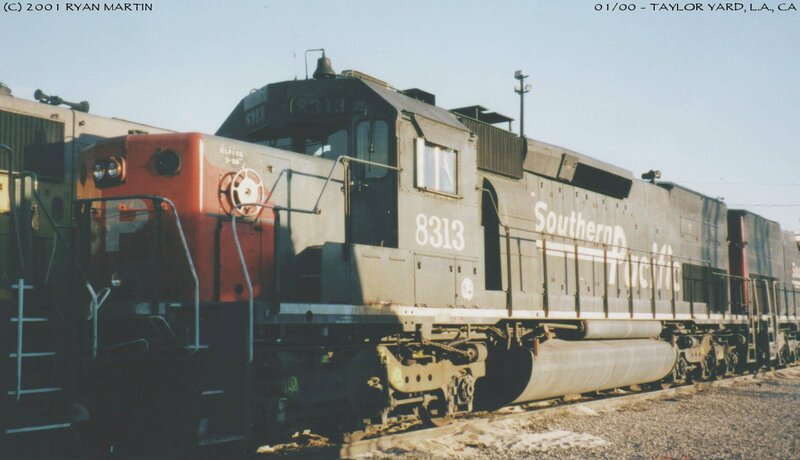 These locomotives are painted grey with white lettering/frame stripe and red "bloody nose" and long-hood end. 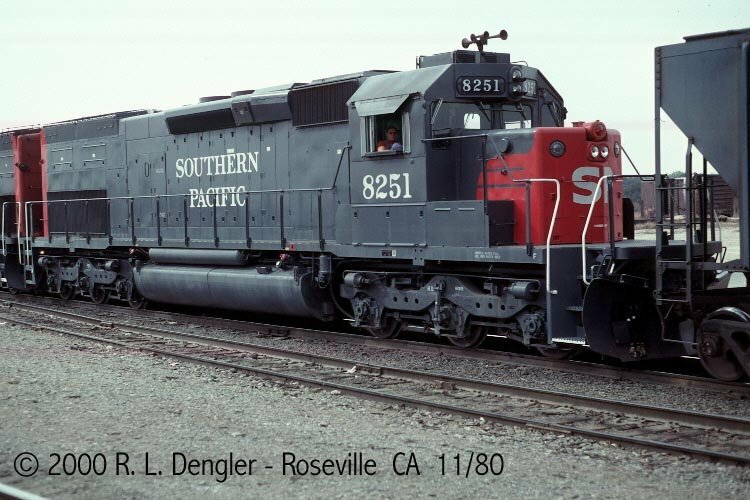 This "Speed" lettering scheme was introduced after the merger with D&RGW. They are fully assembled with etched metal detail parts and operating knuckle couplers. 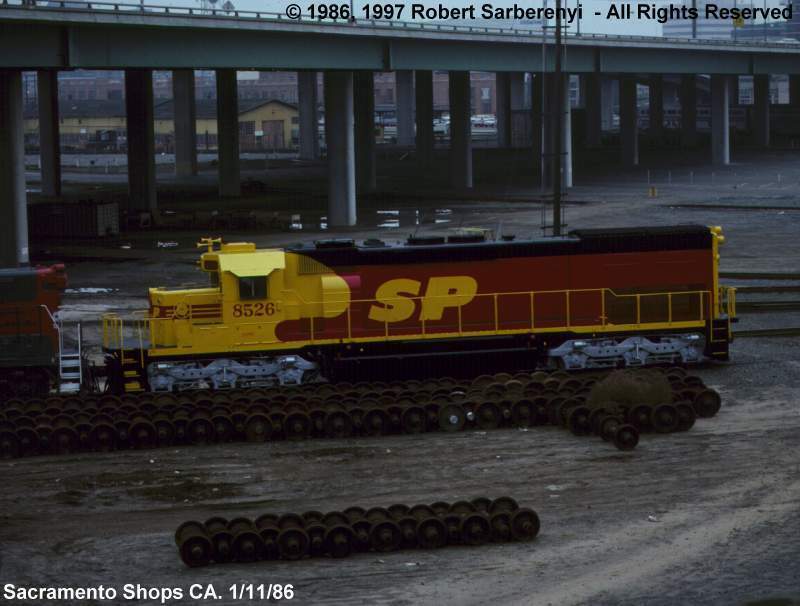 These locomotives are painted black & yellow black lettering and yellow "hash" frame stripe. They are fully assembled with etched metal detail parts and operating knuckle couplers. 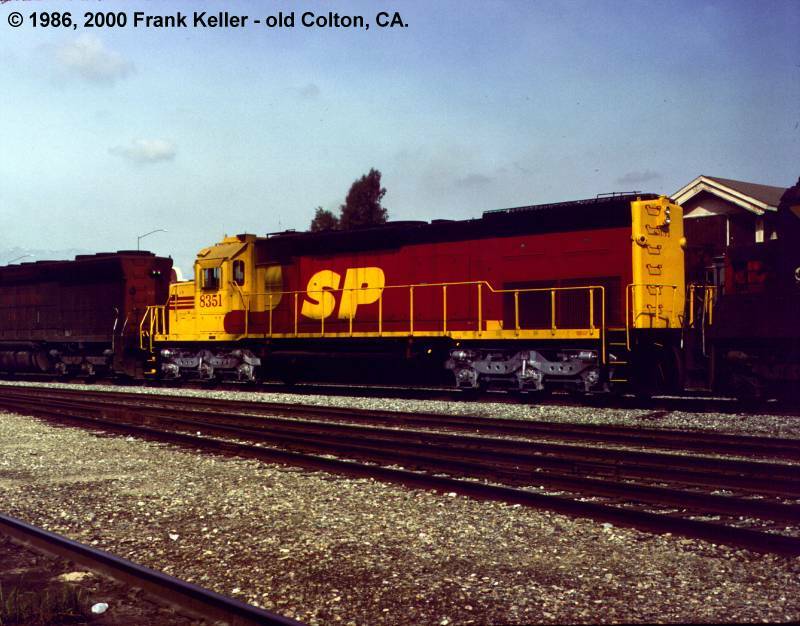 These locomotives are painted in the ill-fated SP/SF merger scheme "Kodachrome red & yellow with black roof and underbody and silver trucks. They are fully assembled with etched metal detail parts and operating knuckle couplers. 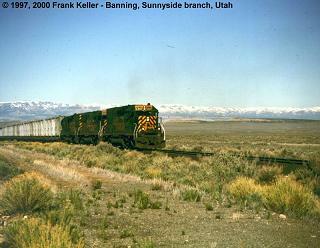 These locomotives are painted grey with grey lettering and red "bloody nose" and long-hood end. 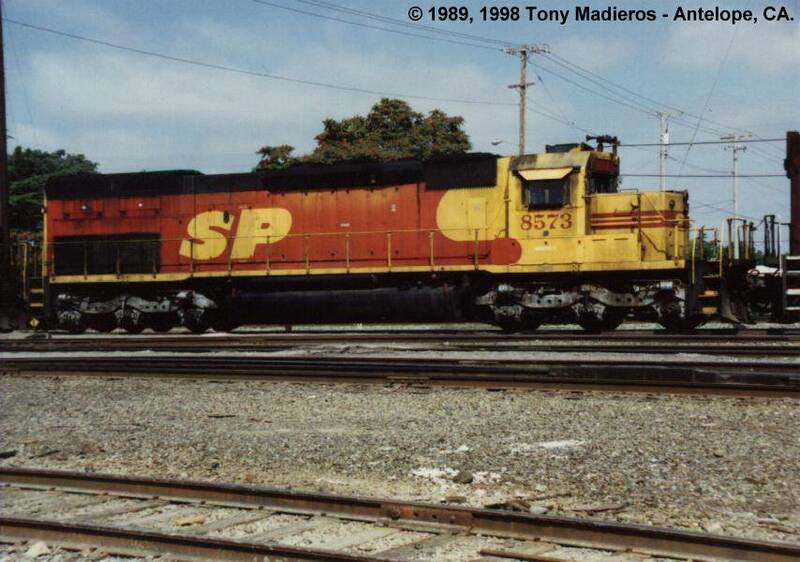 This was the as-delivered paint scheme. They are fully assembled with etched metal detail parts and operating knuckle couplers. 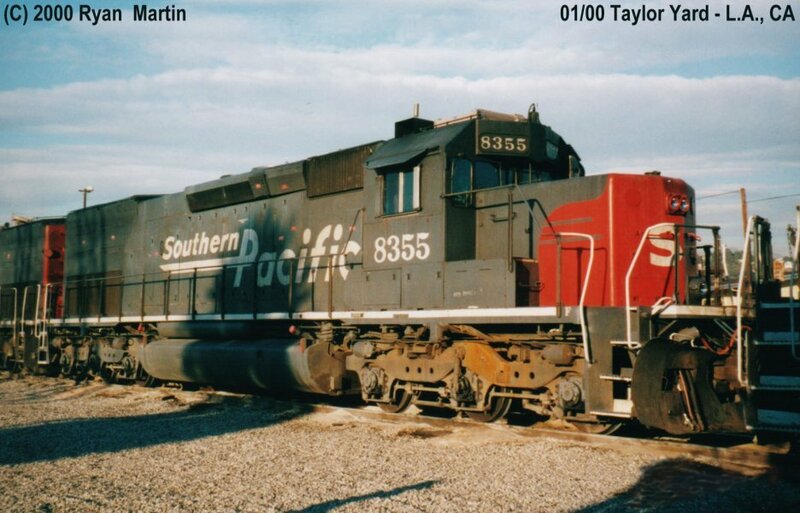 These locomotives are painted red and white with white lettering and black underbody. They are fully assembled with etched metal detail parts and operating knuckle couplers. 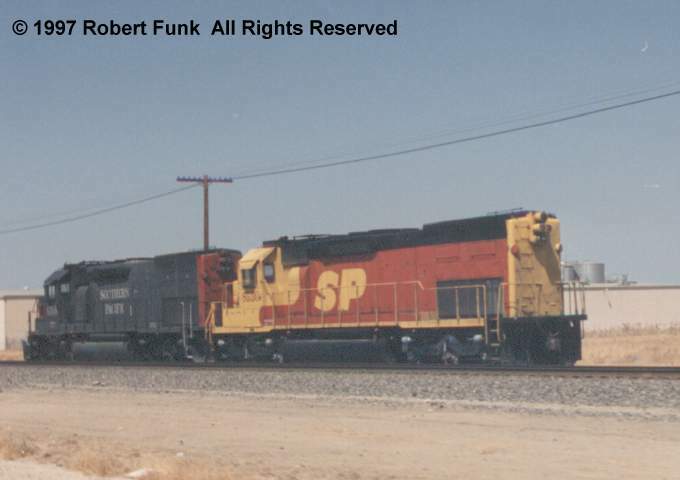 These locomotives are painted grey with red lettering and yellow frame stripe with black underbody. They are fully assembled with etched metal detail parts and operating knuckle couplers. 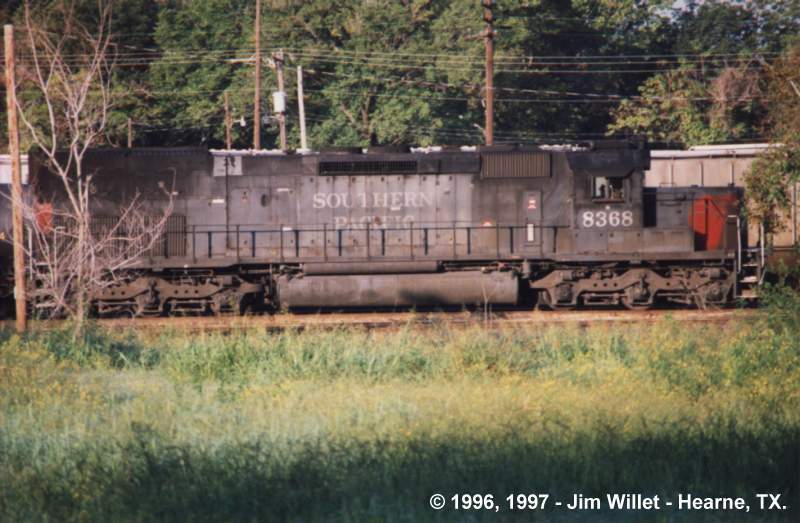 NECR = New England Central Railroad, Inc. 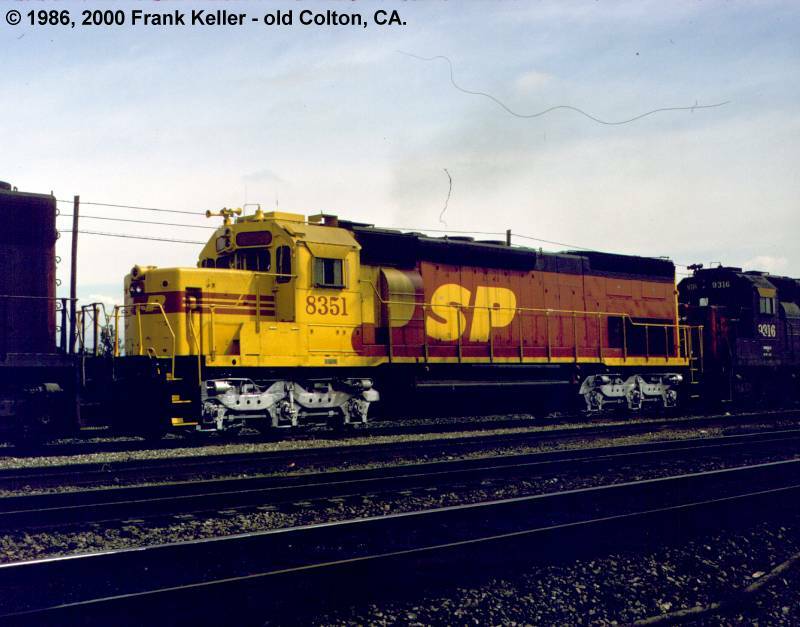 These locomotives are painted orange with black lettering, yellow frame stripe and ends. The underbody is black. 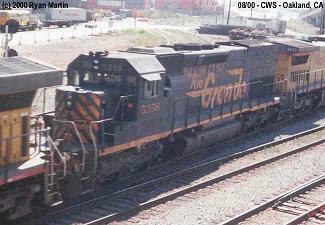 This is the corporate scheme of Genesee & Wyoming Railroad Services. The logo under the dynamic brake blister indicates the specific railroad. They are fully assembled with etched metal detail parts and operating knuckle couplers. 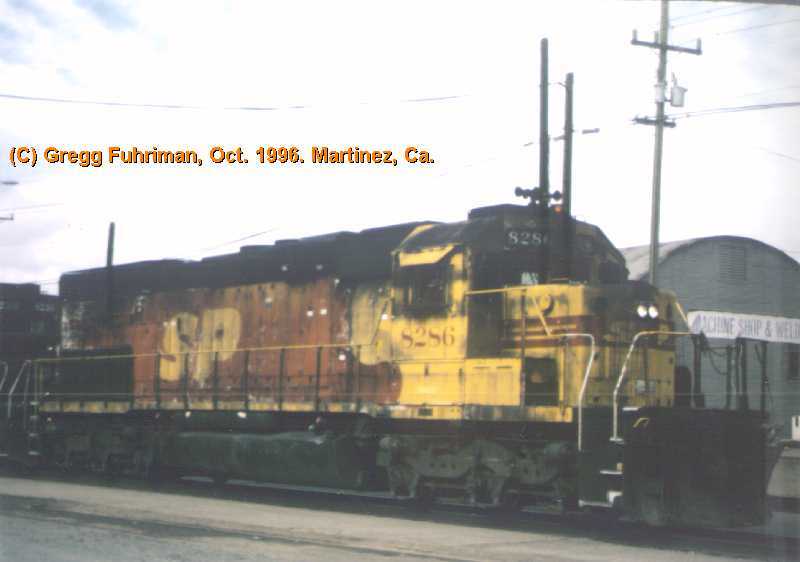 These locomotives are painted maroon with yellow lettering & stripes, grey roof and black underbody. They are fully assembled with etched metal detail parts and operating knuckle couplers. 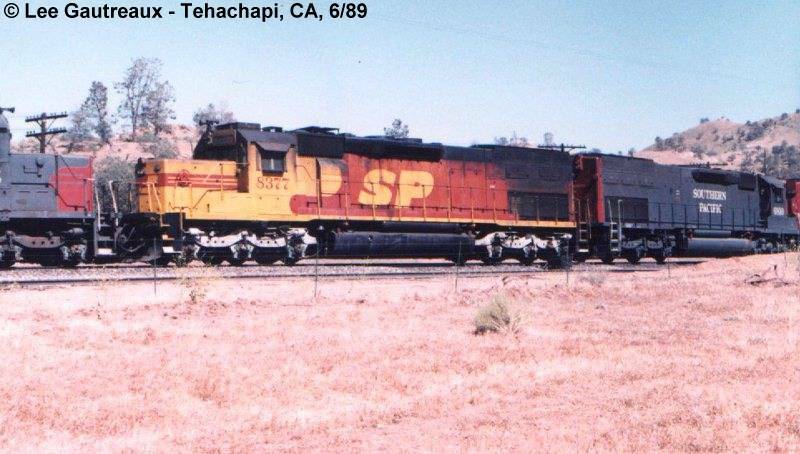 These D&RGW locomotives are decorated in the sharp black and Aspen gold scheme with the billboard flying "Rio Grande" on the sides. These models feature a three chime air horn and Sinclair antenna on the cab roof. 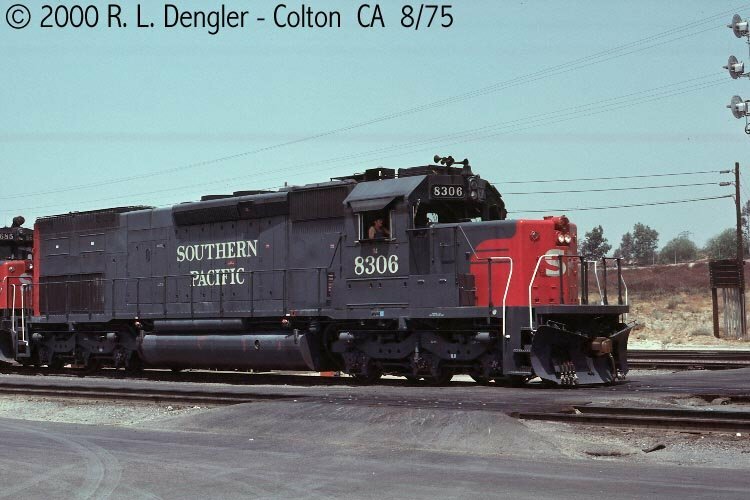 They also come with a smaller fuel tank than those found on Southern Pacific units. They are fully assembled with numerous etched metal details such as sunshades, windshield wipers, fan and intake grilles and come with Micro-Trains® couplers. 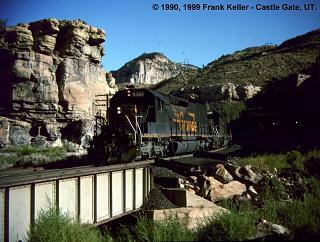 These locomotives are painted grey with grey lettering and red "bloody nose" and long-hood end. They are fully assembled with etched metal detail parts and operating knuckle couplers. These locomotives are painted UP Armour Yellow with Harbour Mist grey roof and underbody and red lettering. They are fully assembled with etched metal detail parts and operating knuckle couplers. 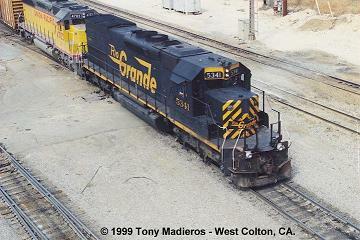 These locomotives are painted grey with white lettering/frame stripe and red "bloody nose" and long-hood end. This white lettering scheme was the second version following the grey lettering version. They are fully assembled with etched metal detail parts and operating knuckle couplers. 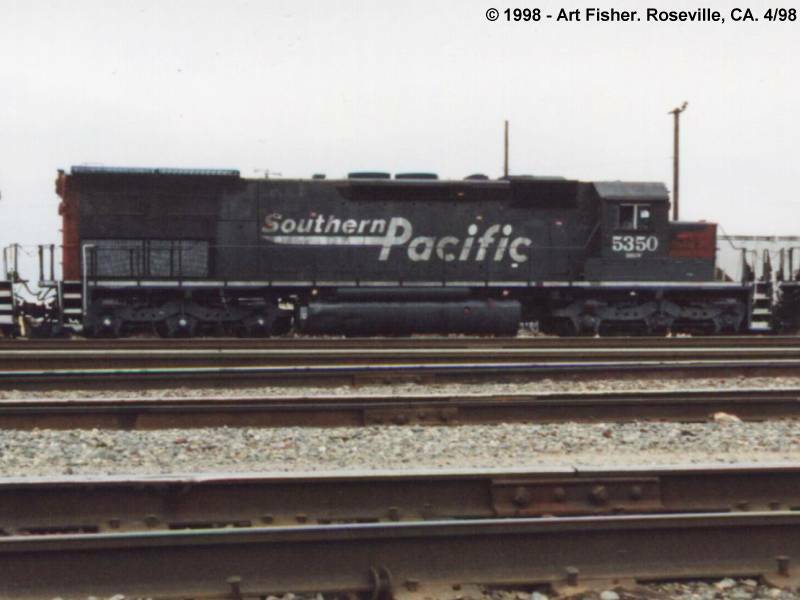 These locomotives are painted SP Dark Grey with white lettering and frame stripe. They are fully assembled with etched metal detail parts and operating knuckle couplers. 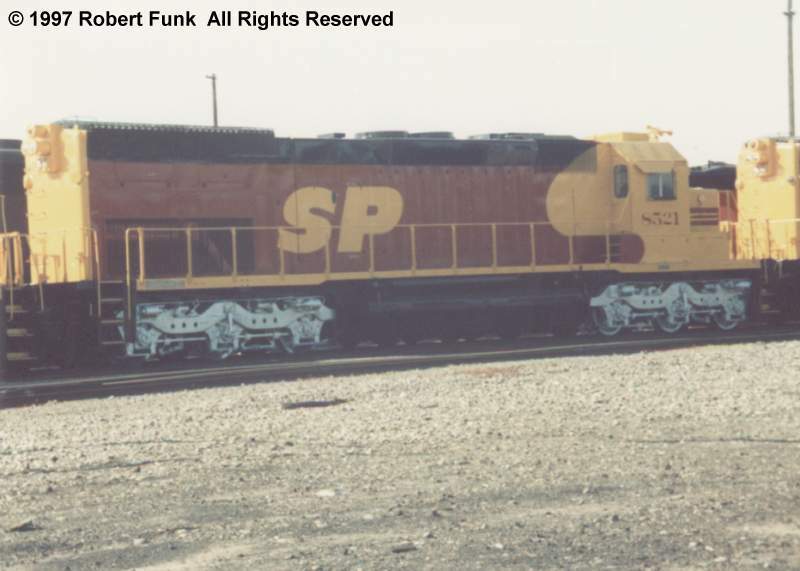 These locomotives are painted SP Dark Grey with light grey lettering and red "Bloody Nose". They are fully assembled with etched metal detail parts and operating knuckle couplers.
. -04 / 8622 . 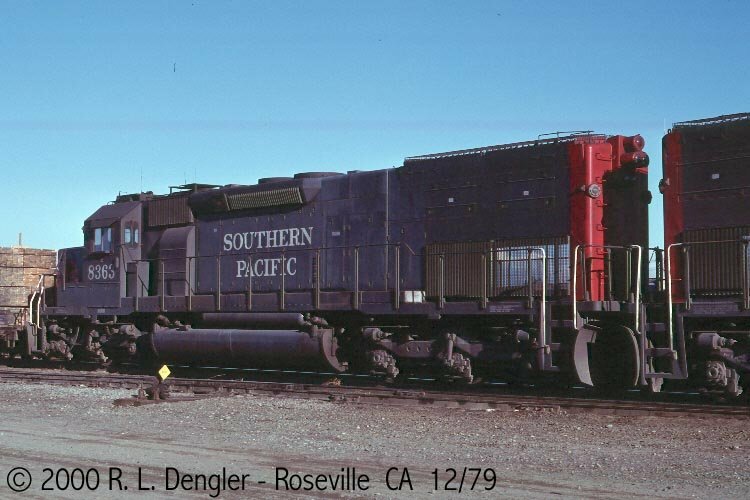 This SD40T-2 tunnel motor is numbered and lettered for the UP, but retains many of the D&RGW markings from its previous service. 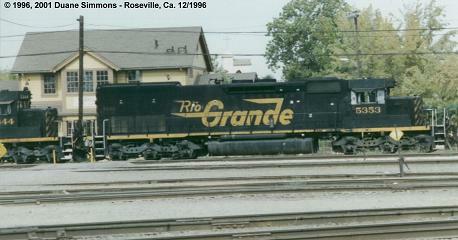 "Rio Grande" is in large yellow letters on the side of the black body, while UP red and yellow, along with the shield, appear under the cab windows. The UP shield is on the nose. They feature prototypically accurate details. 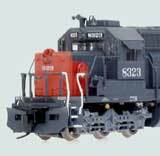 The models have finely molded details, etched metal details, and are equipped with Micro-Trains® couplers. DCC ready. 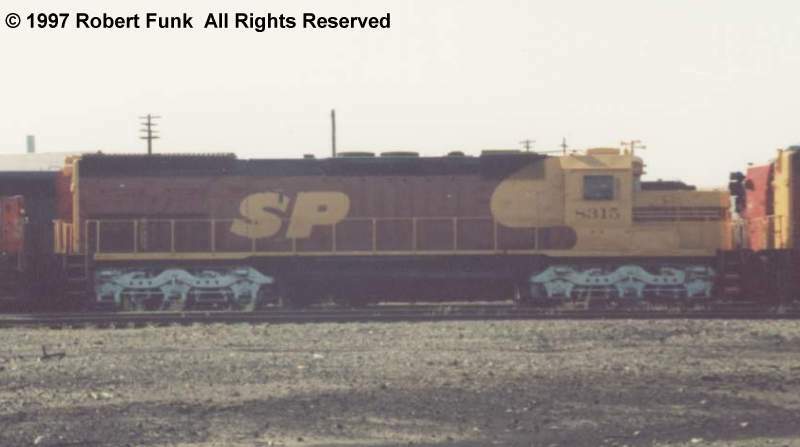 These locomotives are painted SP Grey with white lettering and the signature "Bloody nose" In addition they have been patched yellow with red lettering and re-numbered into the UP Numbering series folloeing the merger. They are fully assembled with etched metal roofwalks and xxxxx trucks and couplers.